Place value is such an important concept that should be taught to children in hands-on, concrete ways. And just because we are focusing on large numbers with older children, doesn’t mean they don’t need this extra practice and hands-on instruction. Today, we are jumping into adding 100’s, 1,000’s 10,000’s and 100,000’s to large numbers. 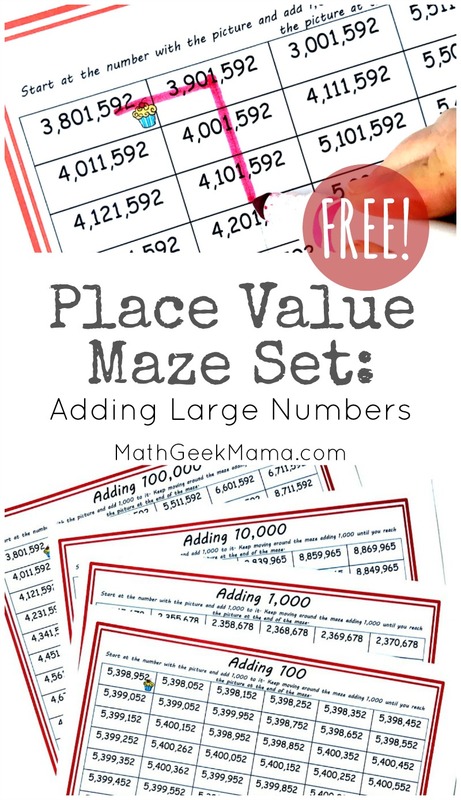 These low prep place value mazes are the perfect way to focus on what each digit represents in these large numbers. 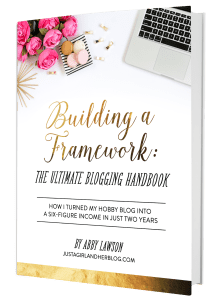 I love activities that require very little prep-work…and this is one of those. First, print off the mazes, and then provide markers. If you would like to make this a center that can be used over, you can place the paper in sheet protectors and then provide dry erase markers. (Or laminate all the mazes to use again and again). Or you could even provide transparent circle counters for the students to place on the maze. Children often struggle with adding to a large number when nines are involved. All of the mazes will have those dreaded nines in them so starting off this activity with some hands-on practice may help children be more successful. Begin by having the children create a number like 1,897 with their base ten blocks. They should have 1 large cube, 8 flats, 9 tens, and 7 little cubes. Next, have them add 100. Ask them what number they have now…and hopefully, they will tell you they have 1,997. Now comes the fun part. Have them add 100 more. Now they should have 1 large cube, 10 flats, 9 tens, and 7 little cubes. We all know that we can’t have 10 flats, so a little work must be done. All we have to do is bundle up our flats to make a large cube! And presto, we have two large cubes, 0 flats, 9 tens, and 7 little cubes which equals 2,097. One of the biggest points to make is that when we bundle up the flats, there is zero left. And a zero must be placed in that place value. After a little work with the base ten blocks, you can move into the mazes. 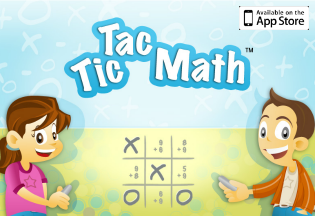 There are four different mazes that require kids to add by 100, 1,000, 10,000 and then 100,000. The adding by 100 maze starts off hard from the get-go, and then gets harder. The students add 100 to 5,398,952. It definitely gets harder though, because before too long the maze reaches the number 5,399,952. I know I’m going to be adding 1,000 because once I add 900 + 100 I have 1,000. The best way to look at this is to focus on the number 399,000. When I add 1,000 to it, I now have 400,000. So my the next number is my maze is 5,400,052. These two mazes continue the focus on the same concept. The students will be facing those nines, and have to understand what comes next. One tricky part of the 10,000 maze, is that there is one place that the children must move on a diagonal. Since this move has not happened before the students will have to be sure of their answers, before making this new move. The last of our sheets, gets us adding by 100,000 and we get to see the millions change a couple of times. 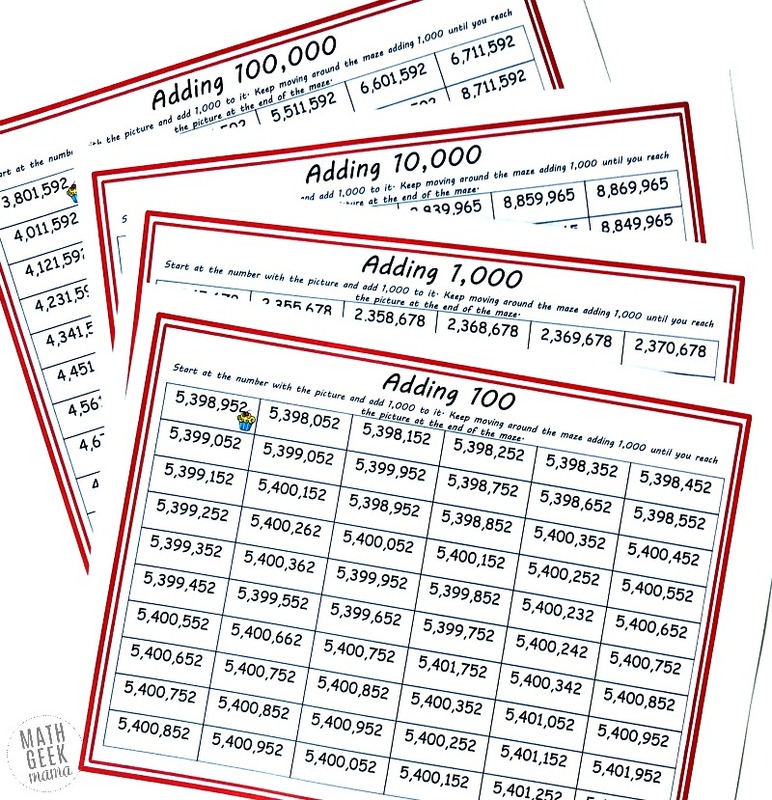 This particular sheet starts off with 3,801,592, and since we will be focusing on the 100,000 place we know the first number to change will be the digit 8. Our first step is quite easy. If I have 800,000 and add 100,000 I now have 900,000. So I move my line to 3,901,592. But now comes the hard part. Adding another 100,000 will affect the millions place. 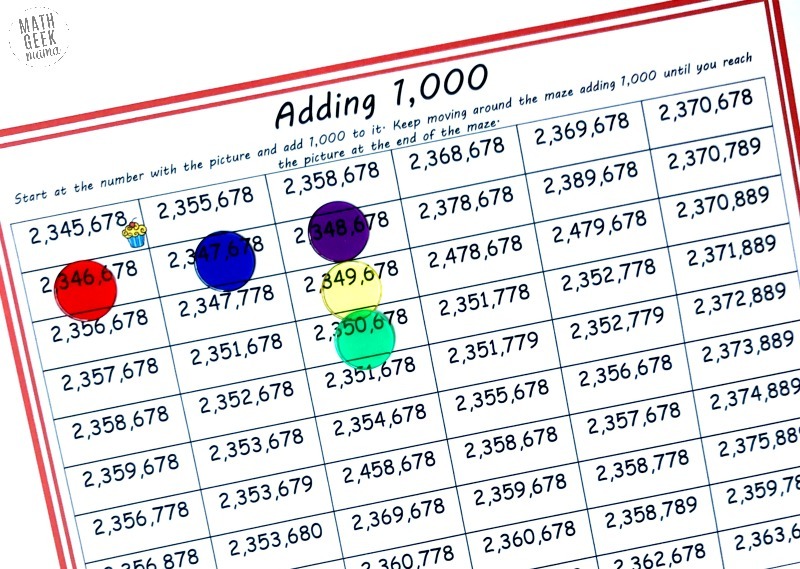 Notice that when we add the 100,000 we do not have a number in the 100,000 place value anymore. This means there will be a zero in our 100,000’s place and the millions place will move up one digit. 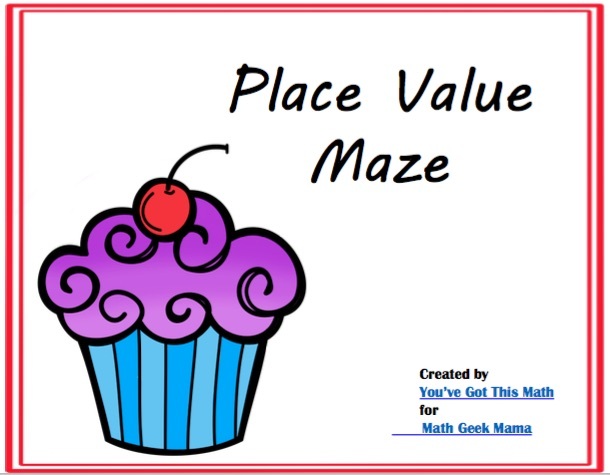 These place value mazes will help children understand the value of digits in large numbers. 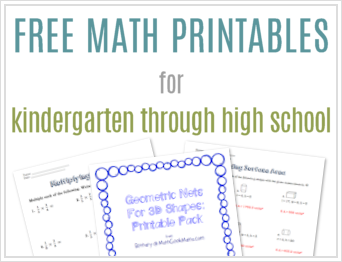 You can further explore this with your kids by grabbing these free task cards that also focus on adding and also comparing these large numbers. 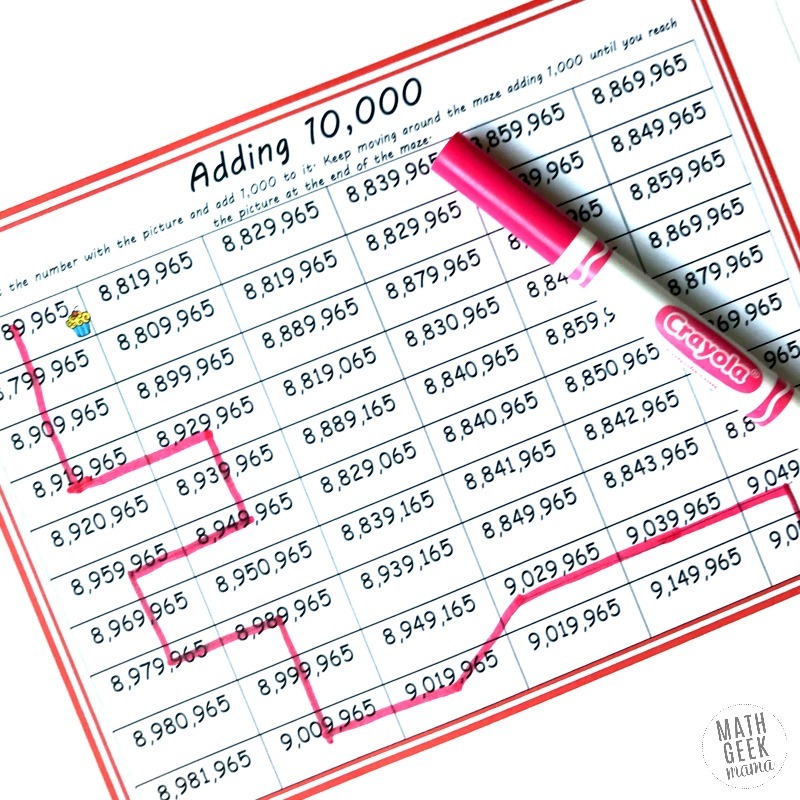 And you may like this simple printable board game for adding and subtracting large numbers. Enjoy playing with place value and adding large numbers!